Josh Cohen is a freelance reporter based in Seattle. Follow him on Twitter (@jcohenwrites). 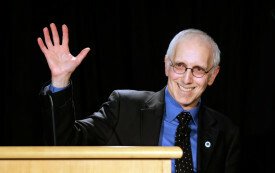 Seattle Councilmember Nick Licata used his organizer skills to fight inequality from inside City Hall. Now he’s taking his approach to other cities.